Given the gallons of the stuff that was consumed on Burns’ Night last week it seems appropriate to compare Brexit to malt whisky: both are best consumed straight. Increasingly it appears folk want their coverage of the current constitutional crisis with no mixers, spin or commentary. The rise of MTV inspired hits like Video Killed the Radio Star and Queen’s Radio Ga-Ga. So hopefully we can look forward to a Beyonce song about Michael Gove in the near future. And perhaps Speaker John Bercow will rethink his constant interruptions exhorting parliamentarians to behave. The braying and barracking may be bad but at least MPs aren’t twerking in their scanties as everyone on MTV seems to do most of the time. BBC Parliament simply shows footage from the Commons chamber. The occasional caption to explain what’s going on is as whizzy as it gets. 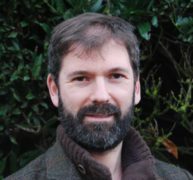 But if that is the malt whisky of politics on telly – ie the pinnacle – other outlets and broadcasters are pushing the equivalent of cocktails-in-a-can and sickly alcopops – nicely packaged, easy to consume but unsophisticated and, crucially, unhealthy. College Green, the little bit of park over the road from the Palace of Westminster, has been covered in pergolas, platforms and makeshift studios of all sorts. Presenters, technicians and guests mill around in the freezing cold and dark waiting for their time in the limelight. One Brexit expert complained to me that the university he works for were refusing to sign off his expenses claim for the full rig of thermal underwear he’d had to invest in, so often is he called upon to appear before the cameras on a January night. Some politicians just stand around uninvited waiting for someone to recognise them and stick them on air. They are rarely disappointed, those hours of broadcasting have to be filled somehow. On a recent tour of the studios (to be clear, I’d been invited to share my wisdom) I was surprised to find BBC Scotland had a particularly toasty tent while Arab TV channel Al Jazeera’s area was freezing both literally and metaphorically as they squabbled with Russia Today over airtime and facilities. The TalkRadio tent seems more like a howff than a studio as every time I pass it it’s peopled entirely by men well past their prime. It is the grass that suffers most; more College Brown than College Green after weeks of being tramped on. Comparisons to the Somme abound (as if Brexit hadn’t already spawned enough distasteful war metaphors). Apparently after last year’s heatwave there’s a nationwide shortage of turf, the ground – like our politics – may never recover. But the silliest thing about the whole circus is that just a few yards away is a building where all the main broadcasters base their politics teams and it’s equipped with a roof, heating, a coffee shop and cosy studios. Nobody needs to be broadcasting outdoors at all. 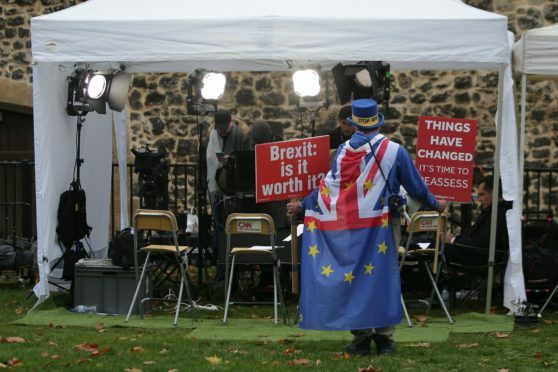 What the indoor studios lack is noisy protestors seeking to sabotage coverage at every opportunity whether that be the pro-EU crew yelling slogans to drown out interviews or the right-wing numbskulls who harass politicians with poisonous taunts. Let’s be clear. Those folk haven’t turned up because there are politicians around. It’s the Houses of Parliament, there’s always politicians there. They keep up their attention-seeking nonsense because the cameras are rolling. I asked one bright young thing of political journalism why they bother with the outside broadcasts. “For the drama,” came the reply. How depressing. I thought the BBC’s flagship drama was Doctor Who, not the News at Six. The story taking place right now in Westminster doesn’t need any embellishment. History, politics, news – they don’t need jazzing up. Any proper journalist will recall trying to impress the boss by sexing up a scoop in their cub reporter days. Any decent editor will recall telling such a person to simply ‘tell it straight’. A few old-school editors is what’s required to calm things on College Green right now. For the solution the authorities have come up with to counter the intimidation MPs and journalists have been receiving risks making the situation worse. Keep an eye on the coverage and you’ll notice there’s more broadcasting inside parliament. Essentially they’ve made the Westminster bubble even smaller so the politicians and commentators can share their views without ever having to even leave the building. Populism – that destructive force that spawned Brexit, President Donald Trump and the ‘gilets jaunes’ demonstrators in France among others – is fuelled by a feeling that the elite have lost touch with the people. What better way to illustrate that than to hole everyone up in the Houses of Parliament because the folk outside are being too disrespectful? Such a move will only speed up the cycle, turbo charge populism and degrade our democracy. The politicians get their protection, the broadcasters get their drama, the rest of us have to live with the consequences. We may all need a decent dose of the cratur to get through this.